Learning a complex task such as table tennis is a challenging problem for both robots and humans. Even after acquiring the necessary motor skills, a strategy is needed to choose where and how to return the ball to the opponent’s court in order to win the game. The data-driven identification of basic strategies in interactive tasks, such as table tennis, is a largely unexplored problem. In this paper, we suggest a computational model for representing and inferring strategies, based on a Markov decision problem, where the reward function models the goal of the task as well as the strategic information. We show how this reward function can be discovered from demonstrations of table tennis matches using model-free inverse reinforcement learning. The resulting framework allows to identify basic elements on which the selection of striking movements is based. We tested our approach on data collected from players with different playing styles and under different playing conditions. The estimated reward function was able to capture expert-specific strategic information that sufficed to distinguish the expert among players with different skill levels as well as different playing styles. 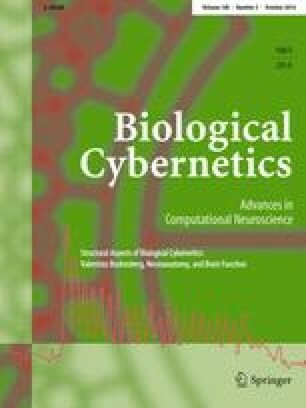 This article forms part of a special issue of Biological Cybernetics entitled “Structural Aspects of Biological Cybernetics: Valentino Braitenberg, Neuroanatomy, and Brain Function. We would like to thank Ekaterina Volkova for her support with the calibration and advise for the motion suits and VICON system, as well as Volker Grabe for his technical support for the integration of Kinect and VICON with ROS. We also like to thank Dr. Tobias Meilinger for helpful comments on the psychological part of this experiment and Oliver Kroemer for proof reading this paper.